“Those who do not cooperate sufficiently cannot hope to benefit from our development aid,” Gabriel said in an interview with Der Spiegel released on the weekend, according to AFP. In turn, Interior Minister de Maiziere, speaking to the ARD broadcaster on Sunday, said that he “fully supports this idea.” De Maiziere is to work out a plan stipulating that rejected asylum seekers, especially those deemed to be potentially dangerous, are kept in confinement until they are deported. The plan is to be discussed by the interior and justice ministers, who will meet Tuesday to talk about possible changes to the security system that may also include increasing the number of CCTV cameras. “I will make very concrete proposals to expand the possibility of placing in detention people classified as dangerous before their expulsion,” Justice Minister Heiko Maas said. Thomas Oppermann, the Social Democratic Party (SPD) faction leader, echoed de Maiziere’s and Gabriel’s ideas in an interview with newspapers in the Funke media group, calling for sanctions to be imposed against countries failing to take back their citizens. “We can’t exclude economic sanctions,” Oppermann said on Monday, according to Frankfurter Allgemeine Zeitung. Meanwhile, Chancellor Angela Merkel said that Germany would deal with security problems exposed by the Christmas market truck attack, also promising to make a “national effort” to ensure rejected asylum seekers return home, AP reported. “Those who have no residency status must be returned to their homeland, but that also demands of us that we concern ourselves with the problems of these countries and find solutions that are in our mutual interest,” Merkel said. The chancellor also said she would take care of the lawmakers’ push to have Tunisia, Algeria and Morocco declared “safe countries of origin” to speed up migration processes for those countries’ citizens. As of now, the initiative has been blocked by the Green Party. 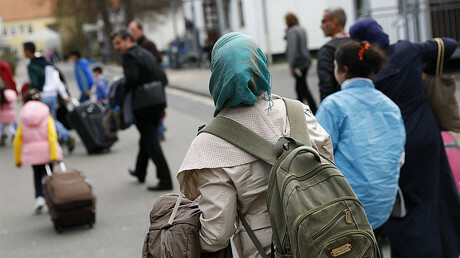 The measures aimed at changing the laws on the acceptance and deportation of refugees come in response to the recent Berlin terrorist attack in which 12 people were killed and 56 more injured. The main suspect in the attack was 24-year-old migrant Anis Amri, who was later killed by Italian police in a shootout in Milan. The warning voiced by German officials is directed at North African countries in general and in particular at Tunisia – Amri’s homeland. Amri reportedly arrived in Italy in 2011 on a refugee raft, and was jailed for an arson attack the same year. He was released in 2015 and was expected to be deported. However, Tunisian authorities refused to accept his repatriation as allegedly there were no documents proving his Tunisian citizenship. In April 2015 he applied for asylum in Germany. Amri’s application was rejected in June and he was expected to be sent home, but Tunis again denied his citizenship, refusing to take him back. A new Tunisian travel document for Amri was issued two days after the slaughter in Berlin.